In the late 1800’s, a local naturalist and lighthouse keeper named Laura Hecox started a collection of Indian artifacts, shells and specimens. She donated her collection to the City of Santa Cruz to establish its first public museum. 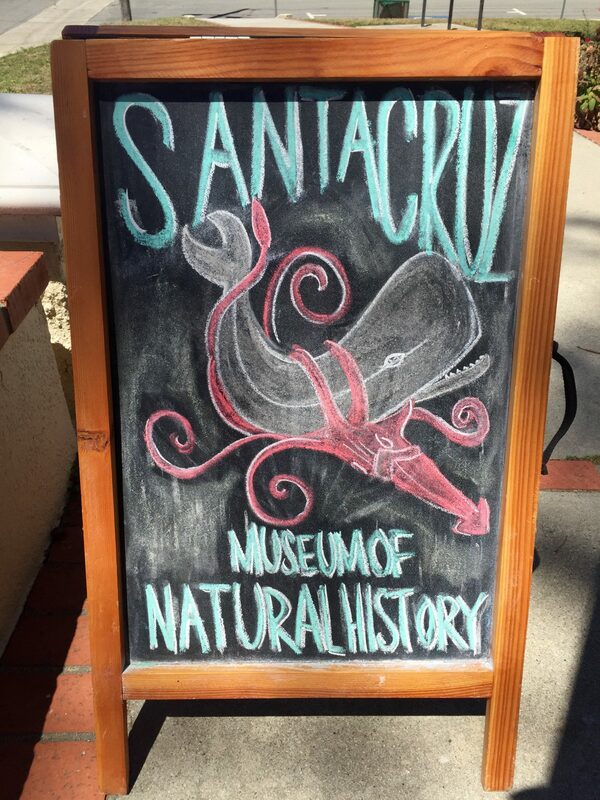 In 1905, the museum opened in downtown Santa Cruz before being moved in 1954 to the East Cliff Carnegie Library, where it has become a cherished community institution known as the Santa Cruz Museum of Natural History (SCMNH). There are many new additions to discover at the SCMNH. Over the past 100 years, the museum has excelled at connecting people with many dimensions of nature – in particular, with the environmental history and cultural heritage of the Santa Cruz region and the Monterey Bay. SCMNH embodies stewardship of the natural world through observation, collection, preservation, and education, and by featuring diverse fossils, marine life, plant, animal, and human communities unique to this area. 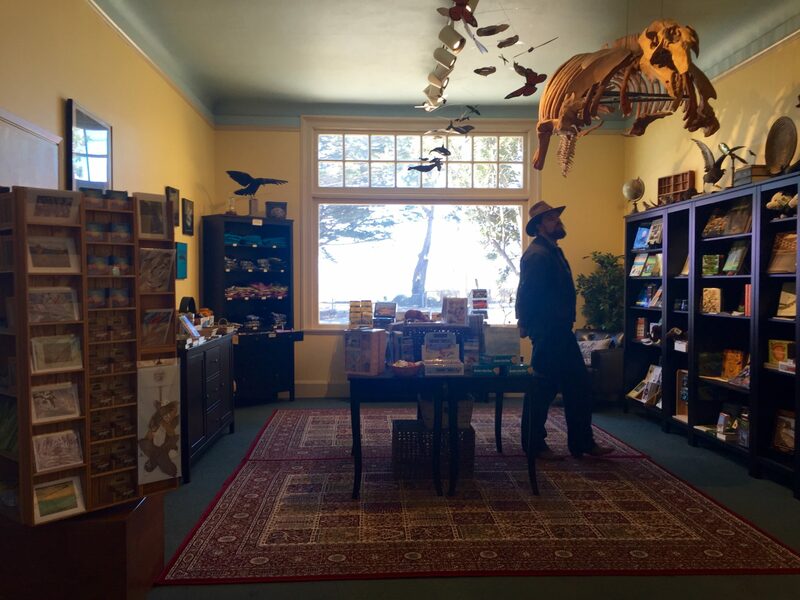 Thanks to recent renovations, this historic landmark now includes a nature lab featuring an intertidal touch tank, a reception area, and a bookstore. The museum has a recently renovated bookstore, as well as other new additions. 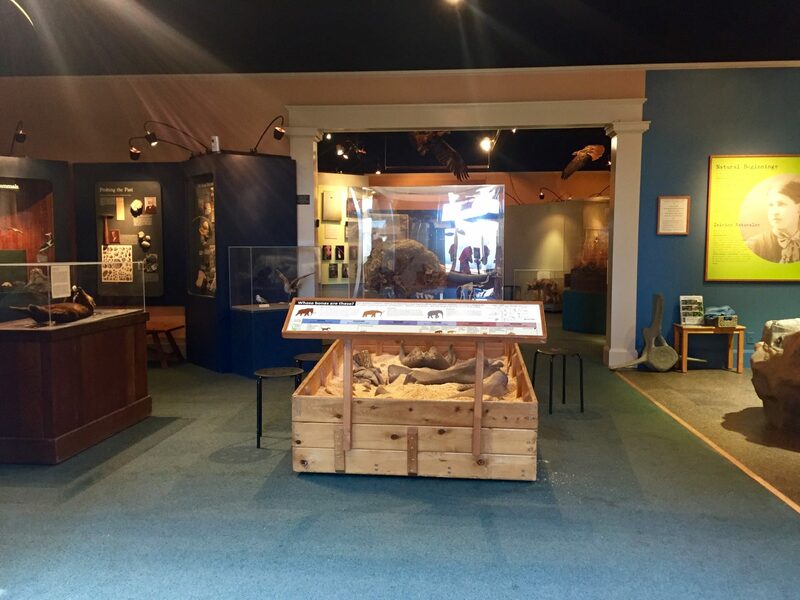 Located above scenic Seabright Beach, the Museum has a wide range of exhibits and events that foster the responsible understanding, protection, and promotion of this area’s valuable species and resources. In addition to an extensive collection of over 16,000 specimens and artifacts that are used for permanent and temporary exhibits, SCMNH offers educational programs, guided walks and workshops, natural history talks and tours, volunteer opportunities, a museum pollinator garden and beehives, and community partnerships, events, and festivals. 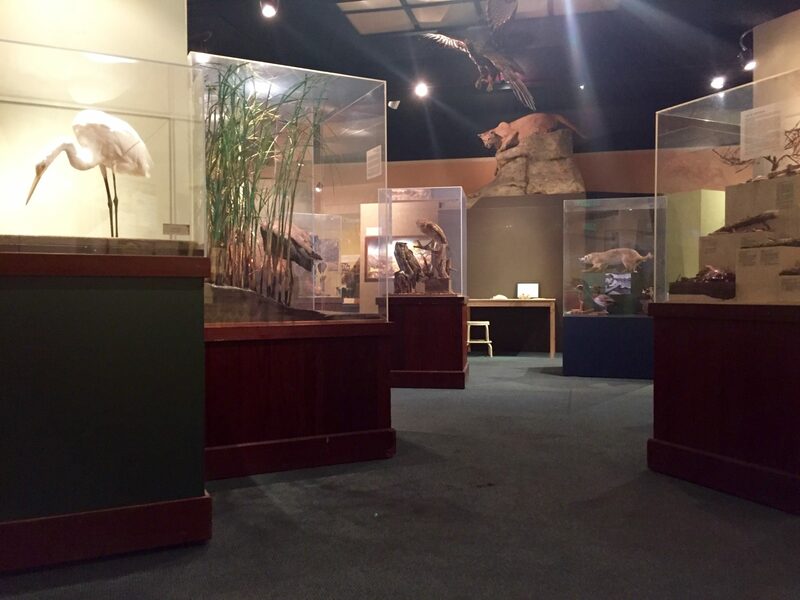 Exhibits include displays of forests, wetlands, grasslands, and more. Both the interior and exterior of the building provide a special experience for residents and visitors of all ages. In front of the Museum, the life-size Gray Whale sculpture has always been lovingly barnacled with kids since it was created in 1982. Inside, the gallery displays biological, ethnographic, and historic artifacts, and provides opportunities for the public to further engage with exhibits. There are interactive work stations where children can participate in various hands-on activities, artists are welcome to study and draw specimens on public display, and Naturalist Night monthly, adult lecture series led by expert speakers. 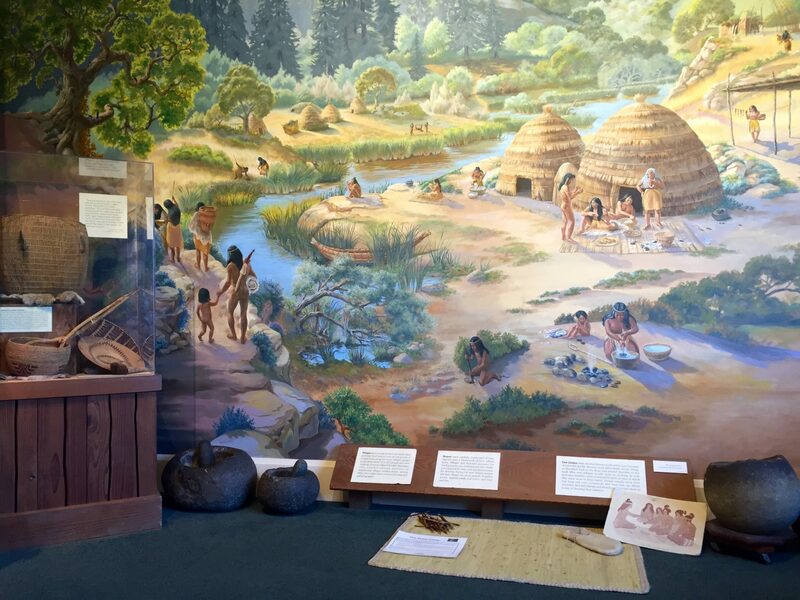 The museum has various galleries educating about local nature and culture, including the Ohlone Room. Permanent exhibits include Wildlife and Habitats, the Ohlone Peoples Room, Geology of Santa Cruz, Monterey Marine Life, Tide Pool Touch Tank, as well as an outdoor Garden Learning Center. The museum also collaborates with guest affiliates for several temporary exhibits each year. The gallery recently displayed an art and nature exhibit featuring work from the California Guild of Natural Science Illustrators. The current featured exhibit is Santa Cruz Naturalist – a newly renovated gallery that has brought many of Hecox’s never-before-seen marine life collections back to the surface for display. The SCMNH has new and upcoming exhibits to enjoy. This year celebrates the Museum’s 111th anniversary, and project plans are underway to continue renovating the galleries as well as surrounding gardens. 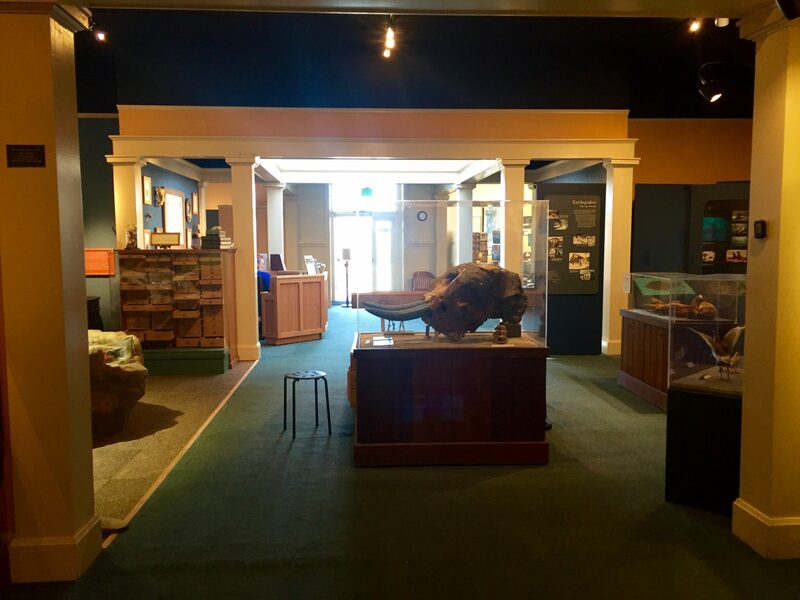 The Museum is a private non-profit organization depending on membership, participation in programs, and donors to keep the cherished natural history legacy thriving. With ongoing community support, SCMNH will continue to invite visitors to take a walk on our local wild side for generations to come. You can find out more information about the SCMNH and their many events and exhibits by visiting their website. Plans are underway to continue developing the SCMNH.